In April I became the first doctor I know of to get an Android tablet computer. I wanted to try out Android and perhaps have a machine to write software for as my earlier attemps to become an iphone developer weren't very fruitful. I already have an iphone and am very familiar with the iOS operating system so this would give me a chance to try something new. Also Android appeals to my early adopter hacker personality as it has more options and is a bit messy compared to the Apple iOS. 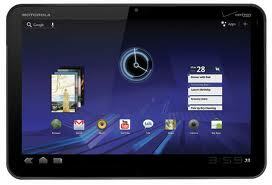 I chose the Xoom because it was the best and first Android tablet to run the Honeycomb operating system or Android 3.0. I got the WiFi only version because I was mostly looking for a machine to use at the office and the nursing home and both locations have WiFi. I have tethered the device to my iPhone via bluetooth but it is kind of slow. My first experiences were a bit rocky but now two upgrades later things are much better. I now have Android 3.2, support for USB devices and SD storage, and a boatload of software which wasn't available in April. I use several browsers to access Allscripts eprescribe. Opera supports all the feaures but is slow. Chrome and Boat and Dolphin work well but sometimes I have trouble adding a prescription to the scriptpad with those. Another piece of software I can use is the Splashtop desktop.This streams the desktop of my desktop PC to the Xoom. This is a bit slow but all the functionality of the original software running in Internet Explorer is retained. I might use this later on to access the electronic medical record when it arrives at my office in the near future. It is fun to use the tablet in the exam room. I look up contacts and surf the web with my patients. I can use the Android version of Epocrates to check medication doses or look up drug interactions. The tablet form factor is more patient friendly than the laptop and lighter then the Windows tablet I had before. It also has a much better battery life. I got a tablet version of Blogger and I am using it to write this post. Hopefully that will mean more frequent posting in the near future :) .